The third installment in a series of popular, open-world futuristic action games. Crackdown 3 introduces the franchise to the eighth-gen consoles. The game was created by Cloudgine – a British studio led by David Jones, who is the father of the series. Crackdown 3 for XONE and PC introduces the franchise to eighth-gen consoles. it is the third installment in a series of spectacular, open-world action games. The Crackdown series initiated by the Scottish Realtime World studio appeared first in 2007 on Xbox 360, and the original game got a warm reception among the players. The second installment created by Ruffian Games was released three years later. Crackdown 3 was developed by Reagent Games and the team was led by David Jones - the father of the franchise. Interestingly, the crew was aided by the Cloudgine company established by Jones in order to develop cloudcomputing technologies. Thanks to the support, the game utilizes Microsoft's web infrastructure to a large extent, as well as its servers beloniging to the so-called Cloud. In Crackdown 3 for XONE and PC, the players belong to a highly-trained government agency fighting the organized crime. The agents have cutting-edge equipment at their disposal, but also an exceptional permission to choose the means by which the most dangerous criminals are to be eliminated. The main concept behind the game did not change. However, the gameplay formula of the predecessors was slightly renewed. The players are thrown right into the midst of a futuristic city filled with majestic skyscrapers and colorful neon lights. but which is also being torn apart by violent crimes and corruption. The city is a huge, open world, which can be explored freely. The player moves either on foot or by a special vehicle capable of transformations. During the single-player campaign, the player receives a set of objectives from their supervisors. Those concern eliminating the crime lords, who terrorize the entire metropolis. Thanks to support provided by the agency, the player finds a set of futuristic gadgets and weapons at their disposal. When it comes to the weapons available, those allow the player to cause destruction in a very spectacular way, as well as to make even the largest buildings collapse. Apart from the single-player campaign, the game offers an extensive, online multiplayer mode for up to four players. 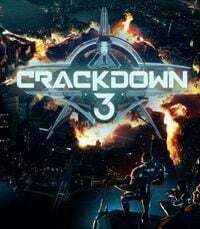 Thus Crackdown 3 can be enjoyed among others, allowing the players to destroy all the structures located in the city - from ordinary walls to bridges and different buildings. Through implementing such mechanisms, the creators delivered the players with great diversity when it comes to different gameplay opportunities and strategies that are now applicable. Crackdown 3 for XONE and PC offers both impressive and colorful visuals. making use of all the technical advantages coming with Xbox One. Simulation of damages is based on the cloudcomputing technologies and Microsoft's servers. This allows for complex computing required by the engine behind the in-game physics.